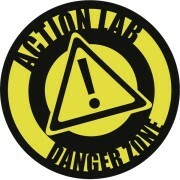 Action Lab: Danger Zone have released previews of their latest comics. BECAUSE YOU DEMANDED IT: a legendary Greek demigod battles a pissed off Argentinian nun! (Okay, maybe you didn’t actually demand it…). Maria fights her former lover as the fate of Jesus hangs in the balance. Can she dispatch Hercules as easily as his daddy, Zeus? Plus–what surprise does Satan have waiting at the hospital? Synopsis: Addison begins to discover her true mission after the Halloween Murders while her Grandfather makes a deal with the devil to keep any witnesses to her crimes from speaking out. This is it, the 90s comic book bad girl brought to life and the supernaturally powered zombie queen go toe to toe one last time. With Zombie tramp mastering Vampblade’s mystical blade to help destroy her sworn enemies, the disgusting other dimensional parasites, the two must now conquer an even deadlier challenge… friendship?!? It’s Game of Thrones with cardboard homes as this wild new series brings an inner city’s hidden world to life in contemporary fantasy style! First Coast City’s homeless suffer under the thumb of tyrant, Philip the Ax. As the seeds for a violent coup begin to sprout, it falls to benevolent vagabond Simon to try to stave off war and bring peace back to the alleys.